Shrink wrapping is a packaging process that secures products by wrapping it over with plastic. The plastic film, a special type of polymer, shrinks when heat is applied to it, forming a tight overwrap over the product. Shrink wrap is commonly used to protect products from damage due to dust, dirt, tampering and secures multiple units from shifting during shipping and handling. What are the advantages of shrink wrapping packaging? Shrink wrapping will protect products from wear and tear-along with keeping them from shifting around. We can perforate shrink rolls. 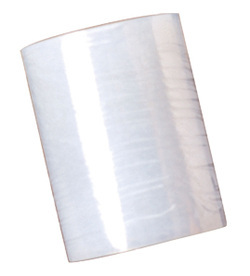 We can immediately shrink wrap sizes up to 30”x18”x9” (LxWxH) inches. We have the capacity to shrink wrap up to 30,000 pieces per day.